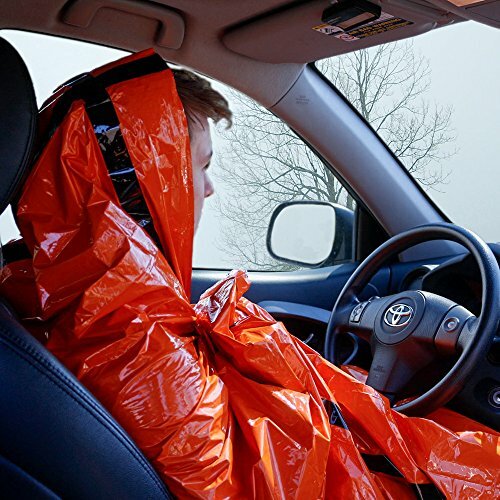 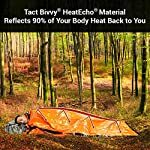 ULTRA LIGHTWEIGHT COMPACT SLEEPING BAG: Made out of ultra-lightweight HeatEcho™ reflective polyester film, this survival blanket sleeping bag weighs just 4.8 ounces. 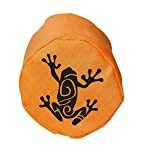 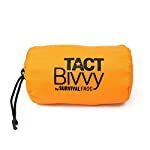 It also compresses into a tiny stuff sack, so you can carry this emergency sleeping bag with your survival kit everywhere you go without weighing yourself down. 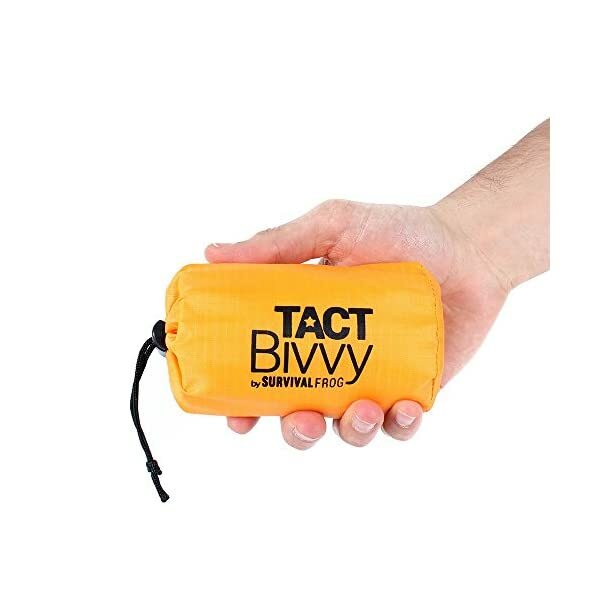 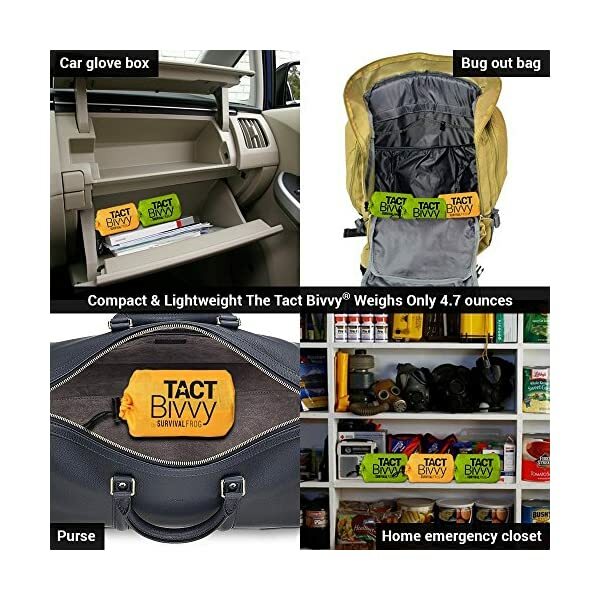 The TACT Bivvy Emergency Sleeping Bag is an amazing survival tool to add to your survival kit or camping gear. 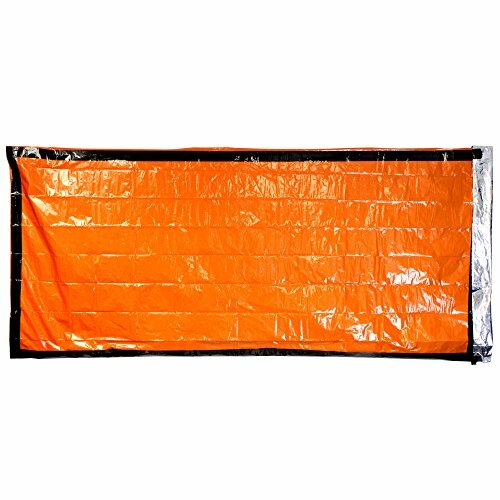 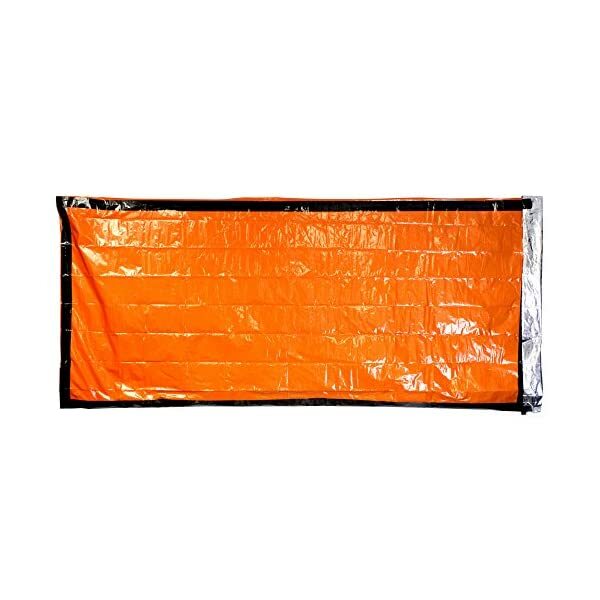 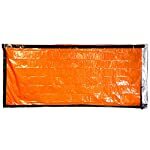 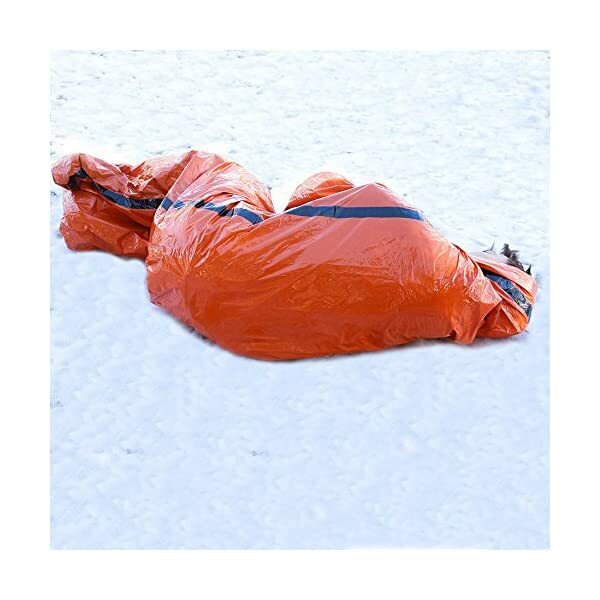 This light weight sleeping bag can be utilized on its own, or act as a sleeping bag liner to keep you sound asleep. 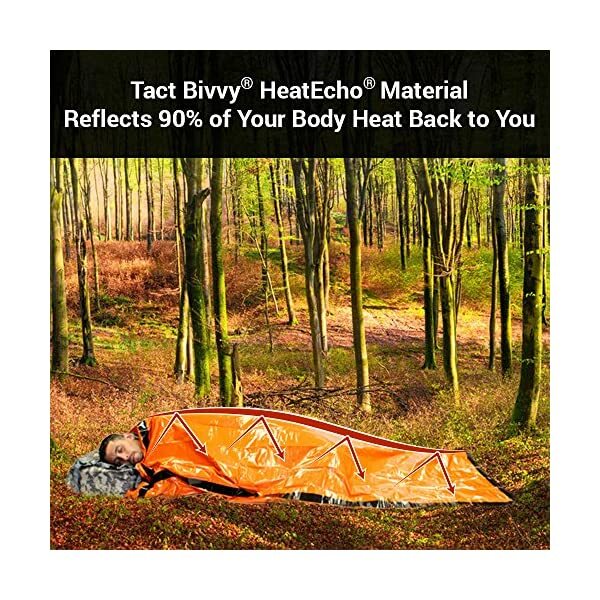 The TACT Bivvy is made out of our HeatEcho™ thermal reflective material for heat retention and may be waterproof, windproof, and reinforced at the seams for added strength and durability. 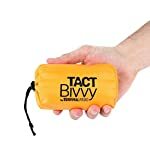 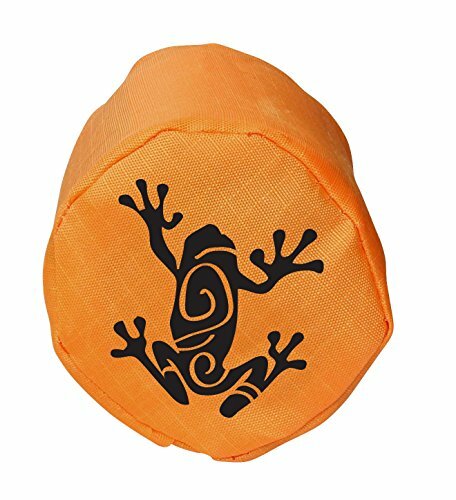 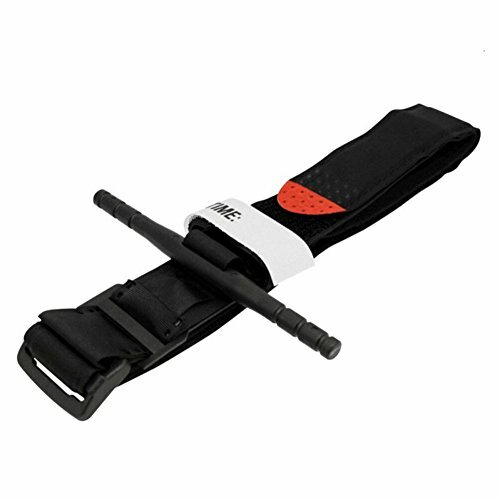 It also packs inside a tiny durable nylon stuff sack, keeping it compact for your bug out bag or camping gear. 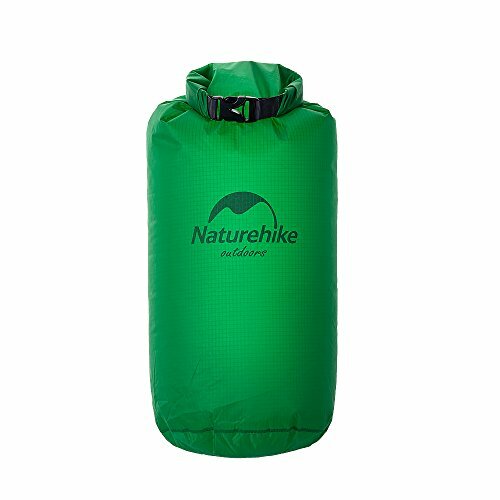 SUPER LIGHTWEIGHT: Made from ultra-thin reflective polyester film, this lightweight sleeping bag weighs just 4.8 ounces. 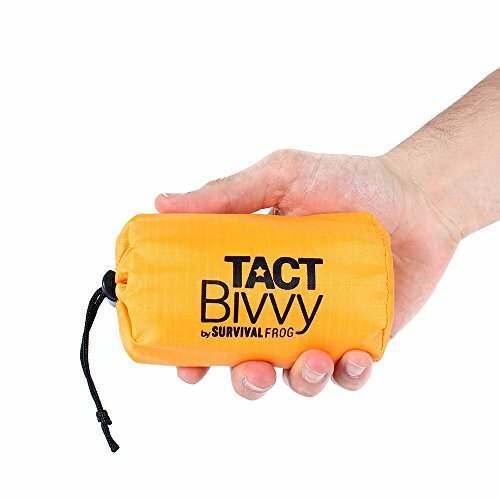 When inside the stuff sack this bivvy bag is so small it fits in the palm of your hand. 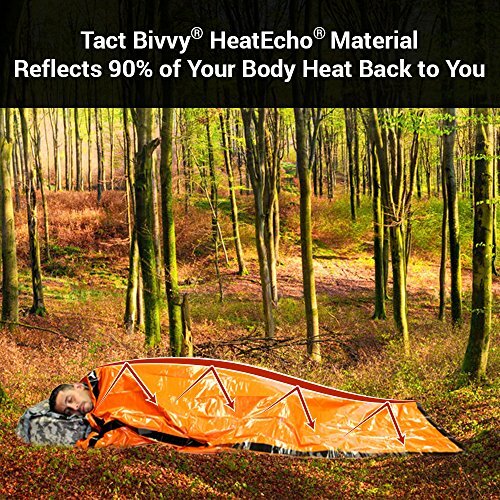 INCREDIBLY DURABLE: This sleeping bag will surprise you with its strength. 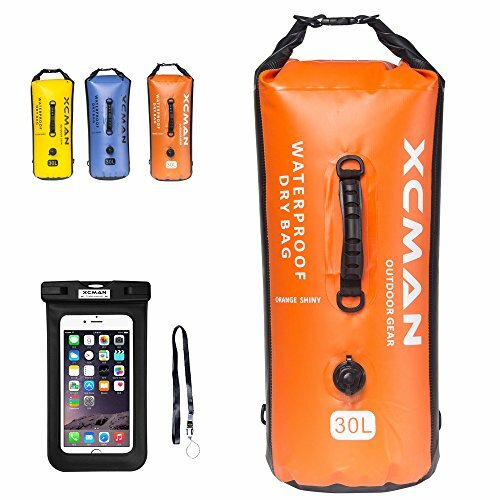 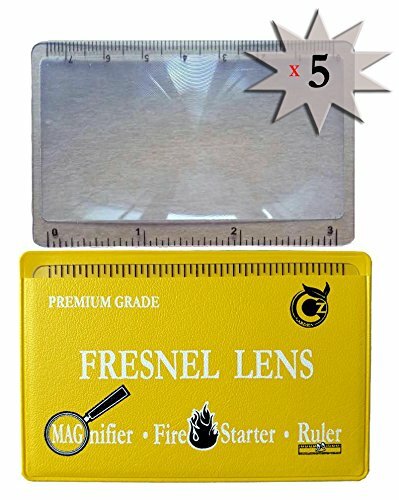 It is tear-resistant, windproof AND waterproof. 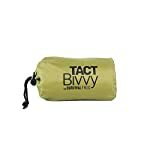 Plus, this bivvy bag features reinforced taped seams. 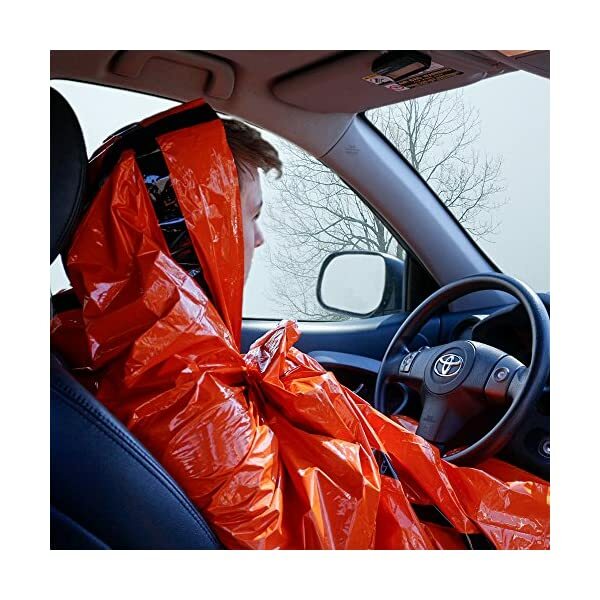 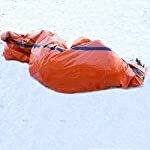 ULTRA LIGHTWEIGHT COMPACT SLEEPING BAG: Made from ultra-lightweight HeatEcho™ reflective polyester film, this survival blanket sleeping bag weighs just 4.8 ounces. 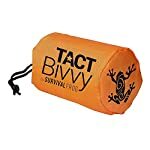 It also compresses into a tiny stuff sack, so you’ll be able to carry this emergency sleeping bag with your survival kit far and wide you go without weighing yourself down. 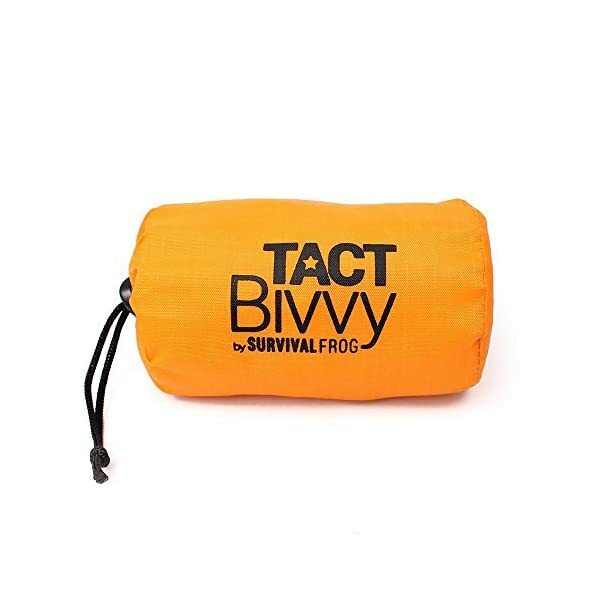 EASY TO USE CONVENIENT TO STORE: Easier than an emergency blanket, just unpack the sleeping bag from the included stuff sack and slide inside – also use as a sleeping bag liner and raise your body temperature by 20°! When inside the stuff sack this bivy bag is so small it fits in the palm of your hand – this means that you’ll be able to store it anywhere. 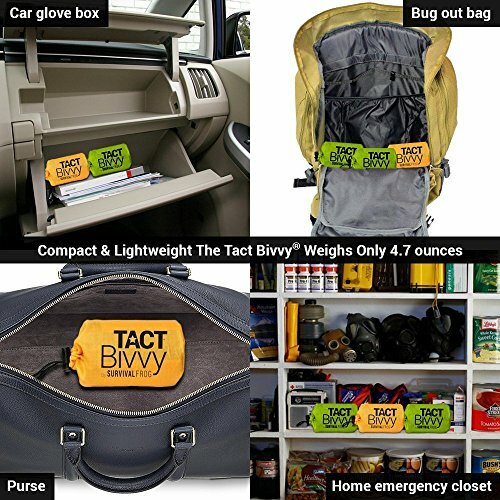 We recommend keeping it with your survival kit, in your bug out bag, camping gear, and glove box so you have it able when you want it. 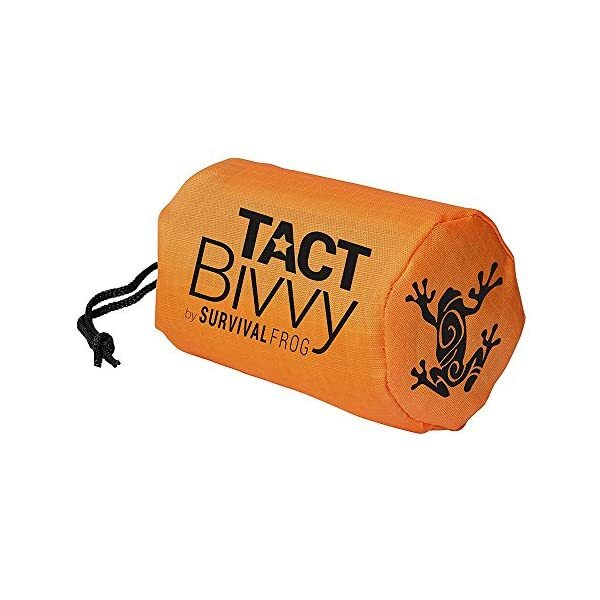 BEST GUARANTEE IN THE SURVIVAL GEAR INDUSTRY: We guarantee our product with our 6 Month “Any Reason” Refund Guarantee. Ships from USA. 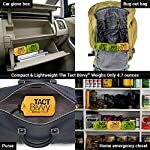 Click Add to Cart Now!